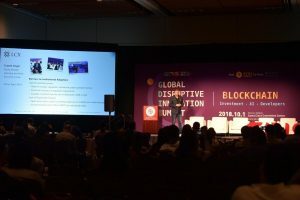 Recent Keynote Speech about the Internet of Value, Bitcoin and Cryptocurrencies at a large management conference. Finding paths to innovation for the mobility industry, working with start-ups, execute innovation strategies and turning cities into smart cities is a key leadership challenge. How can an organisation identify the most relevant and ef cient innovation strategies in order to grow its business? I have been traveling the globe to discover the latest technology trends disrupting traditional industries. In my keynote in front directors of automobile clubs and key stakeholders of the Federation Internationale de l’Automobile (FIA) I focused on four key developments of the future of mobility and smart cities. Electrification – How do we prepare society, industries, the private sector and our cities for a future where electric cars will be ubiquitous? Automation – What’s the impact of autonomous cars on city planning, transportation, future of work and automobile clubs? Smart City OS – In a world of algorithms and industrial internet of things, every company is turning into a software company. What is needed now to turn cities into smart cities is to build the operating system of cities – this is what I call Smart City OS. Hyper Mobility – Disruptive technology innovation is opening new possibilities for transportation, mobility and travel. Examples are Hypersonic passenger planes, hyperloop trains or passenger drones aka. Vertical Take-off and Landing aircraft (VTOLs). Video summary of the leadership conference including a short quote from my keynote speech. Can we predict the future of cities and mobility? There are ways to predict what evolutions will be coming in the next few years based on technological progress. But the elements surrounding these evolutions are more difficult to predict. How will consumers react to the reality of the digital age? How will your leaders embrace it? Will they make the right decisions? And last but not least, are you prepared for the right business models? Has your organisation transformed to be sustainable for a digital future? The key question for an organisation is always how to discover the next big and define an industry rather than react to new realities. The earlier they learn what developments are coming from innovation hubs, the better they can prepare themselves. Are you preparing a leadership conference and looking for a motivational keynote speaker who is both entertaining, inspirational and informational. Feel free to contact Angelique Weingarten with times, location and audience attending your event – she takes care about my speaking engagements and bookings. Are you ready to survive and thrive in an age of AI, automation and algorithms? What impact do exponential technologies, algorithms and artificial intelligence, have on your industry and your business? How does your organization turn the potential threat of accelerating technological change into an opportunity to disrupt an industry? While some executives and senior leaders are focused on meeting near-term business objectives and responding to the immediate demands of running a company, forward thinking companies don’t wait for the future to “just happen”. Smart leaders evaluate what impact the future may have, decide how to prepare, and actively plan for it. That’s why Keynote speaker Monty C. M. Metzger wants to take you on a journey to experience the Digital Future at your next event, workshop or conference. We are experiencing a tipping point. What we’re finding now is that a lot of the big trends that people have been talking about in technology for the past years are actually translating into real results right now. 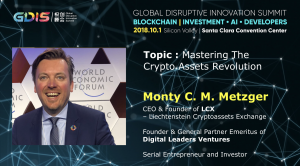 Blockchain, Cryptocurrencies, Smart Cities, Digital Cloud, Autonomous Driving, Virtual and Augmented Reality, Internet of Things, Drones, Robotics as well as Machine Learning and Artificial Intelligence (AI). Digital Transformation: How to Build a Culture of Change? The greatest challenge for any leader is not just having technology as a department, but as a muscle. It’s not just understanding the latest technology development, but rather to anticipate the needs in our digital world. The secret to Digital Leadership is actually taking advantage of change, enabling digital transformation to achieve digital excellence. For almost two decades, Monty C. M. Metzger has been traveling the globe visiting the world’s most influential tech hubs and speaking with their high- profile leaders. From the Bay Area to Beijing, I’ve witnessed, first hand, where high tech’s greatest talent, innovation, and venture capital converge. In the near-endless sea of starts ups and corporate headquarters located in the Silicon Valley, Beijing, Tel Aviv, Seoul, Tokyo, and more I’ve witnessed inventions at their nascent stages— soon-to-be-megatrends before they hit the mainstream. While it’s provocative to think the real-world application of technology that revolutionizes happens overnight, experience has taught me that remarkable new products and services develop over time rather than magically rain down from the digital cloud. When you look beyond the seductive headlines, the creation myths, and the conventional wisdom, you’ll find someone who had an idea, worked with a small group of talented people who executed a vision, and gained the loyalty of influential individuals who spread the invention — this entire process can take years. And a small number of high-impact regions provides the ideal conditions to incubate world-changing inventions. That’s why I am often invited as an inspirational speaker or for a motional keynote speech. And that’s why my colleagues at Digital Leaders are taking CEOs on learning journeys where they experience one of these unique innovation hubs personally and visit some of the most disruptive and innovative companies, get hands on with cutting edge technologies and discuss the strategies you need to survive and thrive in the digital future. General Information about the Tech Futurist Keynote Speaker Monty C. M. Metzger can be found here. For direct contact and a proposal please email Angelique. Today is a fantastic time for Entrepreneurs and their Startups. The entrepreneurial opportunities are enormous as digital is transforming every industry globally. While technology companies are expanding into unchartered territory and disrupting traditional industries we already know that the next 5 years will usher more change than the previous 25 years. I had been invited as a keynote speaker to a startup conference this week to answer a simple question: what’s the next big thing? As a VC we always have to look into the future and evaluate the most promising areas, talk to passionate founders, screen business plans everyday and then come up with a decision if we also believe in this new business opportunity or not. In my speech I was presenting a positive vision of the future vision based on the key Global Technology Trends we currently see in the market. As digital technologies and connectivity become a commodity – like breathing air – the lines between analog and digital are blurring. Digital is part of every facet and element of our business and personal life. Algorithms, artificial intelligence, robotics, autonomous cars, voice control, virtual reality or mixed reality, nano-sensors and ubiquitous information access are now part of the DNA of our modern society. This is what I call the concept of Digital Diffusion. Today you can’t be digital. You just be. Contact us directly if you want to request a proposal for a keynote speech. Just email Angelique and send her details about your conference or event (date, audience, location etc.) and we will get back to you shortly. General Information about Futurist Keynote Speaker, Monty Metzger, can be found here. Artificial Intelligence is the defining technology of the 21st century. But what impact does AI have on your industry and your business? This week I was invited as the opening keynote speaker of the Vision Track at a large Tech Conference. I was talking about the Digital Future 2030, but particularly focusing on why AI is re-defining Digital Leadership already today. As a Keynote Speaker I want to give my audience first hands insights into the current development and what it means for their business. 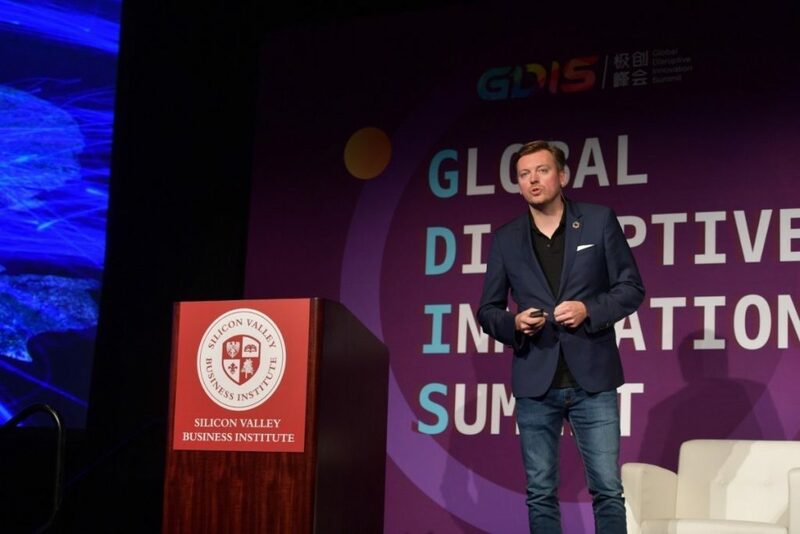 Just recently I had the opportunity to be part of a c-level manager learning journey to China and Japan (organised by my colleagues at Digital Leaders) where I experienced the latest in AI research and AI products. The development of AI will happen in three waves. The first wave of AI will be based on the data we already have available #BigData and it will impact industries where data is available in abundance – such as Financial Industry, Logistics, Media or IT. The second wave of AI will be driven by new data we are generating via Industrial Internet of Things IIoT and a variety of Sensornetworks. 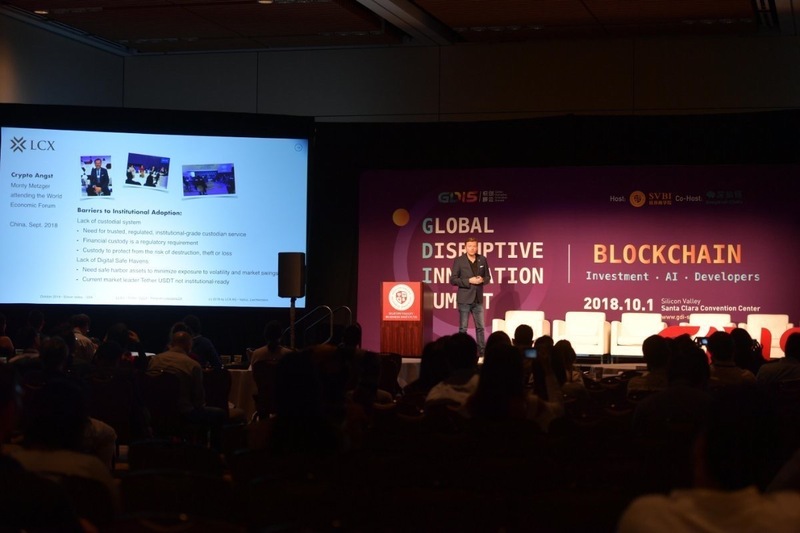 In this phase AI will disrupt industries like healthcare, pharma, food, advanced manufacturing, mobility, transport and even governments. The third wave of AI will have the biggest impact on our society, economy and policies. AI will empower robotics, smart cities infrastructure, self-driving autonomous cars, increasing energy efficiency hundredfold, create personalised medicine, curing cancer, enable cyber security and influencing every industry on our planet. Our world has entered the digital age – autonomous cars, society 5.0, humanoid robots, advanced manufacturing, AI Finance advisors outperforming the bankers, smart digital healthcare and industrial internet of things. While many leaders are struggling to keep up with the rapid development, I see a world of new opportunities where we can thrive and build a sustainable future based on the true potential of human intelligence and capabilities. 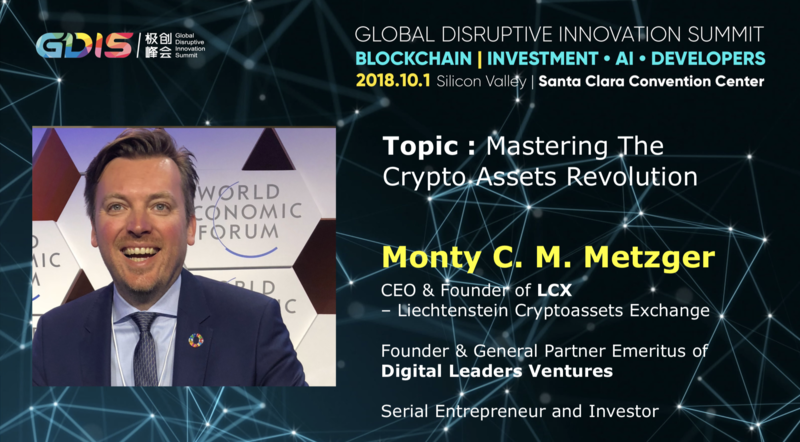 In this inspiring keynote, Monty Metzger, tech-futurist and investor will present a future vision driven by exponential technologies, algorithms and artificial intelligence, and its impact on society, cities, energy, mobility and your industry. The audiences will gain insights into the companies, technologies and global forces shaping the age of artificial intelligence, machine learning, as well as a set of tailored next actions on how to redesign their organisations, reimagine their leadership roles and reinvent the way they make decisions. Interested in a keynote speech on AI. Keynote topic and title could be “The Future of Artificial Intelligence: How AI is re-defining Digital Leadership and disrupting our business world?”, but will be adapted to your needs and audience. Find out more here. Or request a proposal and send us an Email directly.